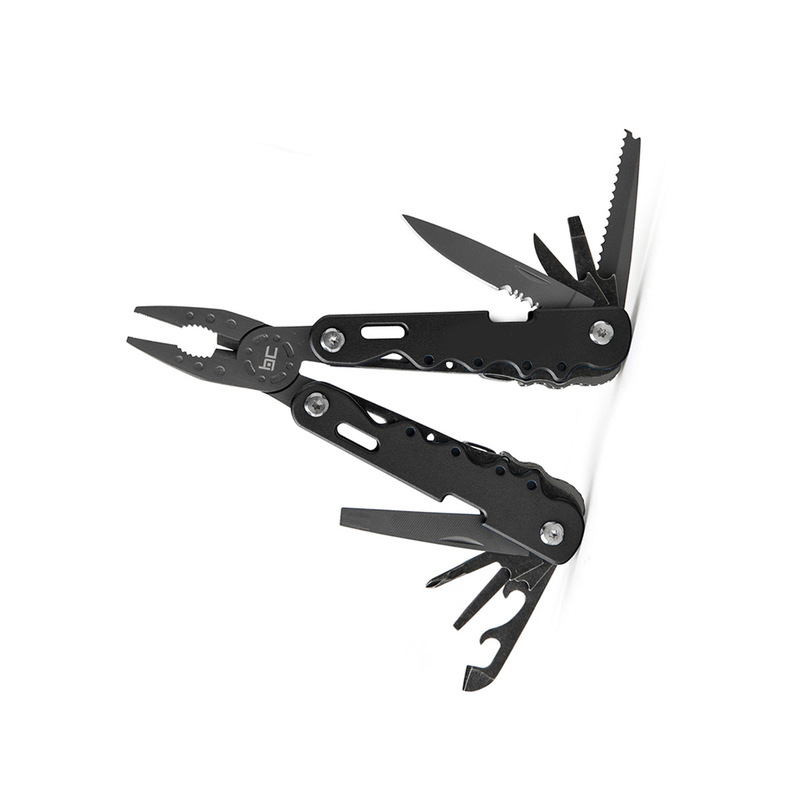 15-In-1 Stainless And Anodized Aluminum Multi-Tool With: Needle Nose Pliers, Regular Pliers, Wire Cutters, Drop-Point Knife, File, Saw, Small Flathead, Medium Flathead, Large Flathead, Can Opener, Bottle Opener, Phillips, And Hook Disgorger. Housed In Heavy Duty Nylon Sheath With Large Velcro Closure And Belt Loop (Included). Sheath Includes Molle Friendly Webbing. Imprint Area: 1.75" x 0.31"